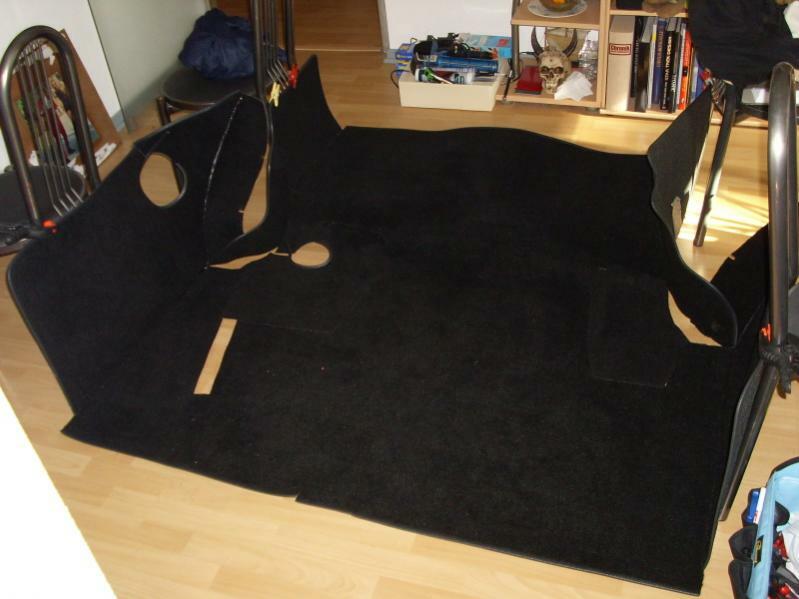 I´ve made a trunk lining out of black carpet last weekend. I still have the paper patterns here. If there is interest, I could make some sketches, write in the measurement and post it. But there has to be some interest, otherwise I don´t make the effort. It is not perfect because it is not easy to measure the shapes. But if you want perfect ones (if they are! ), you can buy them ready-to-install. The sketches will be better than my prototype because I can correct some measurement that are obviously a little bit incorrect, like the area the red pointer shows. Or the side parts, that have to be higher to reach in the fins, so they remain upright and do not tip over. All you need is some car carpet, 2 snap fastener, tape and body sealant. The border is from an upholsterer online shop and can easily be clamped on the edges. The material is ca. $50. Hey Andy I think it would be great if you posted that information. You did a lot of work on it and it looks good. A lot of folks here will be getting to that stage pretty soon and it would save them a lot of hard work that you have already done. Thanks for the offer. Andy your trunk looks great!! I will save this set of pictures to help me when I get to mine next year....Very nice work! That is cool, great work. Good work Andy, You are doing a fine job. Thanks for sharing, I know it will help some of the fellow members out. Indeed Andy it looks great! what did you coat the underside of decklid with? is that regular black paint undercoating or bedliner? I definitley want to upholster my trunk yours looks very sharp ,looks better than factory for sure! Due to the great response I will make it so! Give me a few days and I will come over with the measurement. what did you coat the underside of decklid with? I did not do that, it was already on the car. I think it´s just black undercoating but I don´t know if it´s factory or not. Now here are my instructions for a do-it-yourself trunk lining. Using the sketches I post here you can make a better trunk lining than my prototype. Sorry, my unit of measurement is metric. Otherwise it would be too easy! - 5.00m² Black Carpet or different color that you like (Minimum 1.60m x 3.20m) Black works best if you want to put bloody corpses in your trunk. - Normal rulers and a curved one. Metric would be fine if you don´t want to convert! 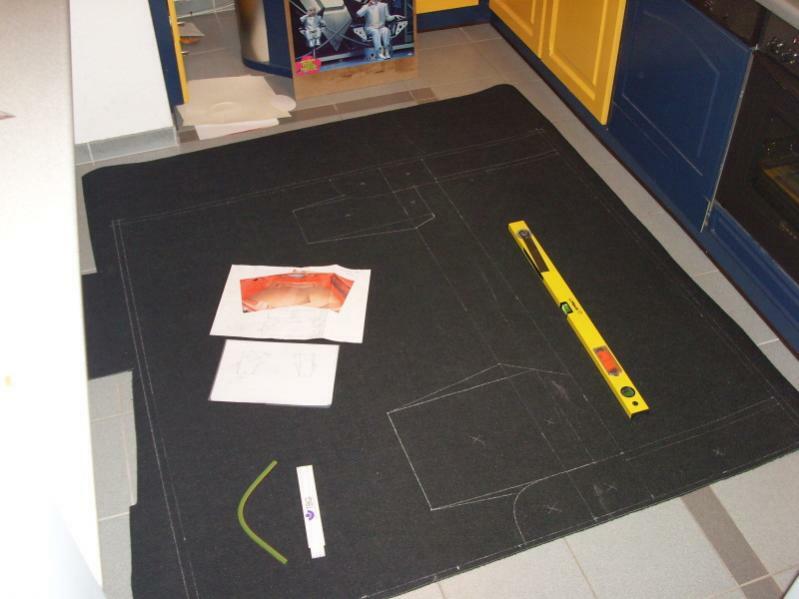 - Make paper templates, put them on the backside of the carpet and draw the contours! - Draw part 2, 3 and 4 twice and mirrored! You don´t need a mirror or 2 different templates for that. Just turn it around, that´s the trick. - If your car only has one tank filler tube, remember that you need the tank filler hole only on the left side! - If you have lost your spare tire, you will not need the corresponding ugly cutting-out in part 1. - Be careful with all the rounded edges! I could not measure this exactly, but I did my best. Use the try and error method. - Use the tabs at the openings in part 1 for parts 5 and 6 as glueing tabs. I did not measure them because it does not matter. The tabs are hidden under parts 5 and 6 after glueing. Glue these parts inside the trunk for best fitting. Use the glue gun wisely and don´t blob around. It´s hot and sticky. - Secure the lid while working in the trunk! Someone may come in and slam it just to annoy you. - Glue the parts together by using the tape on the backside and grouting with body sealer on the inside. Be careful when folding the whole thing if you want to transport it, it could come off! Maybe you will have better ideas for glueing the parts together! - You can close the tank filler hole cuts easily after laying by placing the edge protection in a clever way! Look at my photos closely! - Part 7 is the lining that comes on the backside of the rear seat. Sorry, you will not find it in my sketches because I did not make it yet! - If the trunk lining does not fit, use the body sealer generous to fill all the gaps! That´s not very nice but it´s not my fault! 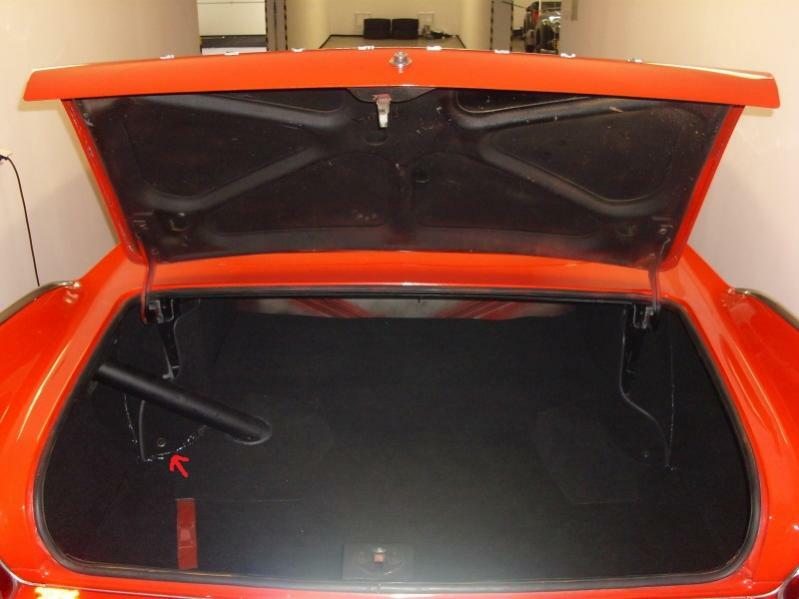 - If your car has no trunk floor at all because it had rusted out, you can use the trunk lining nevertheless. It´s an advantage if you want to sell on ebay. With clever photos, nobody will discover the little secret at first sight. But remember not to put heavy things in the trunk! - This trunk lining is for a 1958 Plymouth 2door hardtop coupe. 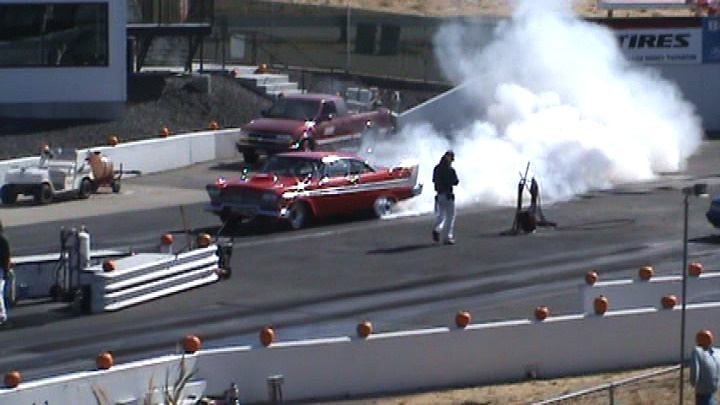 I don´t know if it will fit other Plymouth models or even your daily driver. Anyway, I will not give warrenty at all, no matter what car you have! Great pictures Andy!!!! I can work from them when I get to that part. Thanks for posting them. You´re welcome, Chrissy! I was mainly a reader for more than one year but I learned a lot from all of the shared, valuable information of the active members. I´m happy when I can also help now here and there. If anyone needs the sketches in high resolution, please PM me with your email address. The original resolution from the scan is 4960 x 3507 and I was not able to post it that way. Wow Andy, amazing work! 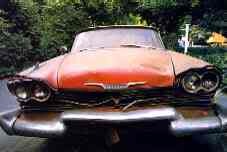 I am sure that your pattern and tutorial will be SO helpful to anyone else restoring a Christine. Great job, and thanks! !